Carnage knows big. 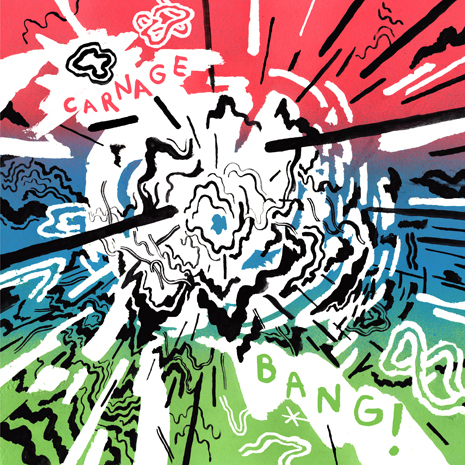 “Bang!” is his debut solo single, a gleefully over-the-top mash of Waka Flocka-worthy orchestral pomp, cranked up laser riffs and steroid-jacked 808s. This “festival trap” anthem comes backed by the equally amped up “Kat!e,” featuring Chicago’s underground queen Katie Got Bandz. Two tracks of Parental Advisory stickered perfection, play ’em loud. Sleeve by Niv Bavarsky.